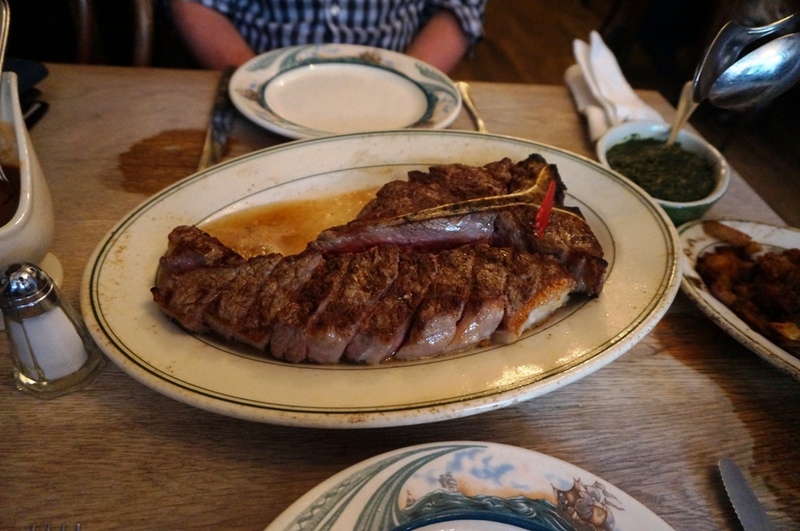 To say peter luger is an institution may still be an understatement, the restaurant, founded in 1887 has been in the one location forever. 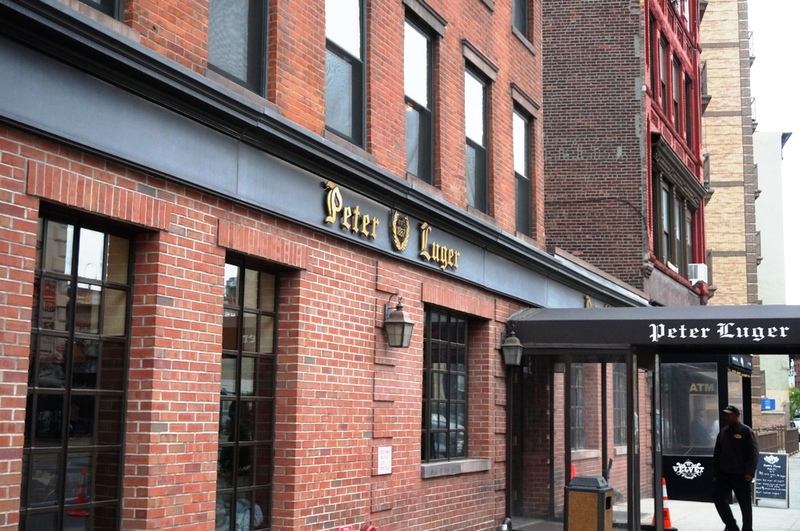 I booked my dinner at peter lugers 3 weeks in advance and even then it was going to have to be on a Monday at 5pm. 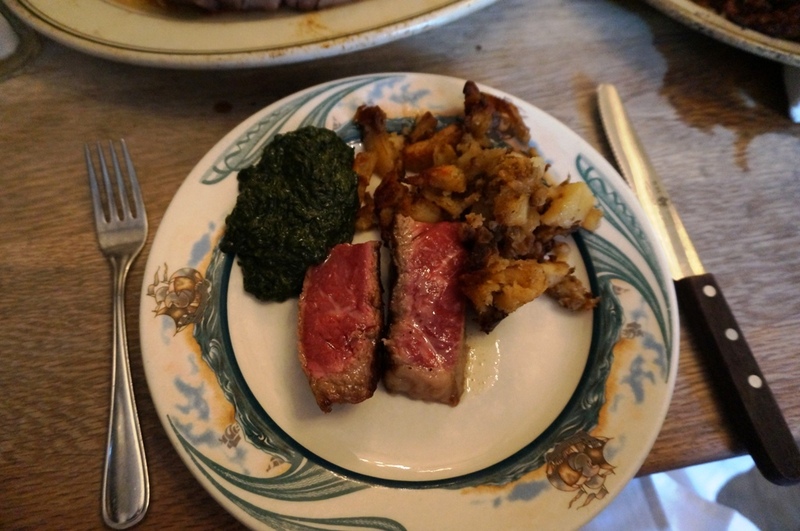 I had done my research on the menu the week before and had my order down to a tee which made me very happy when the waiter seated us and told us the best way to have the peter luger “experience” was to order exactly what I had in mind. To start the tomatoes and onions along with some of their house cured thick cut bacon and sauce. 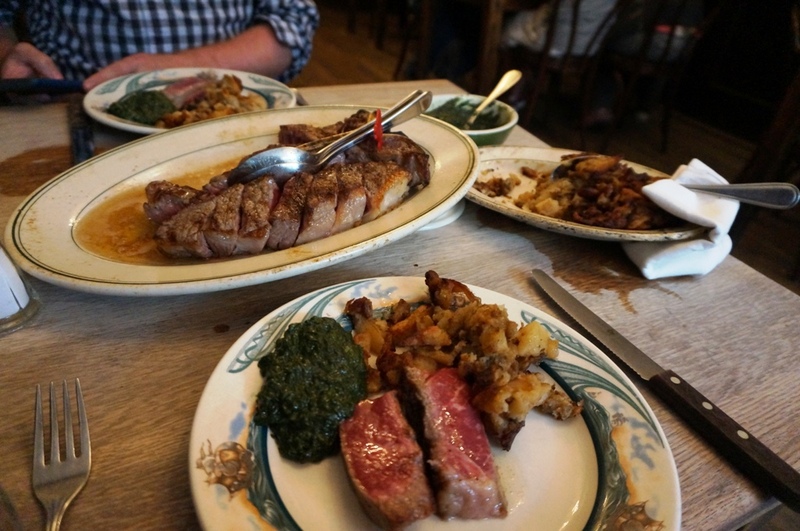 And, to follow as the main event, their porterhouse for two along with their Special German Fried Potatoes and Creamed Spinach. 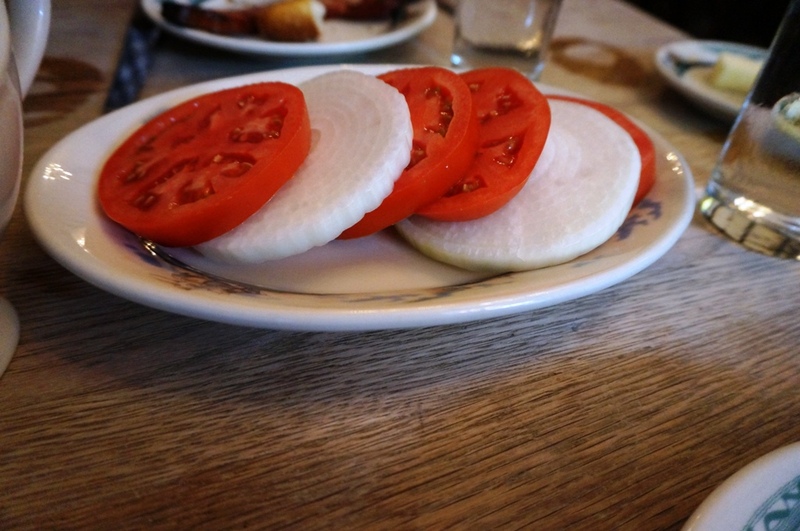 The tomato; onion and bacon came out and I was blown away. Such simplicity done to perfection; the tomato fresh, the onion sweet and the bacon was thick, fatty and salty. With their sauce; all was dynamite. Not too long later the main course arrived. It was beautiful, A meat masterpiece. The rare beef looked so good however if your wanted it cooked more you simply slid the beef along the sizzling plate. It was fatty, tender, seasoned perfectly and finished with butter, heartstoppingly epic; this is one steak I could have eaten forever. The sides were great as well, the creamed spinach a classic dish done well and their crispy hash potatoes going well with their house sauce. 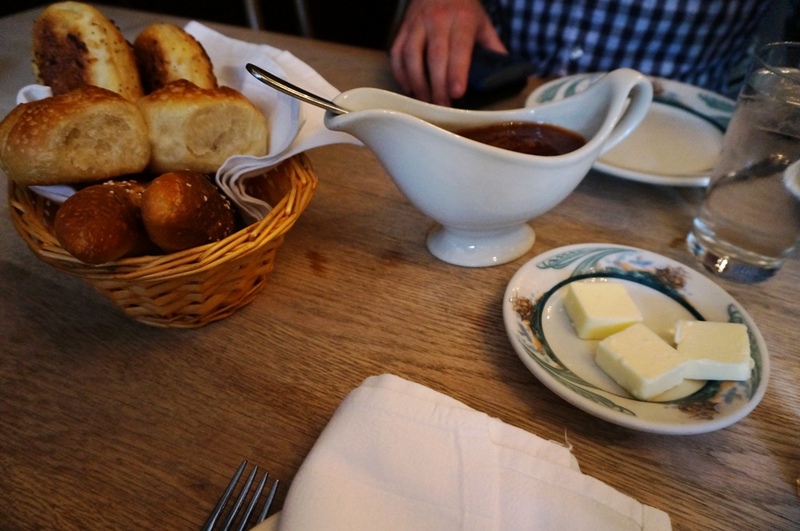 I loved every minute of my experience at peter luger and while there are so many restaurants on my NYC, I’d never pass up an opportunity to come back here. 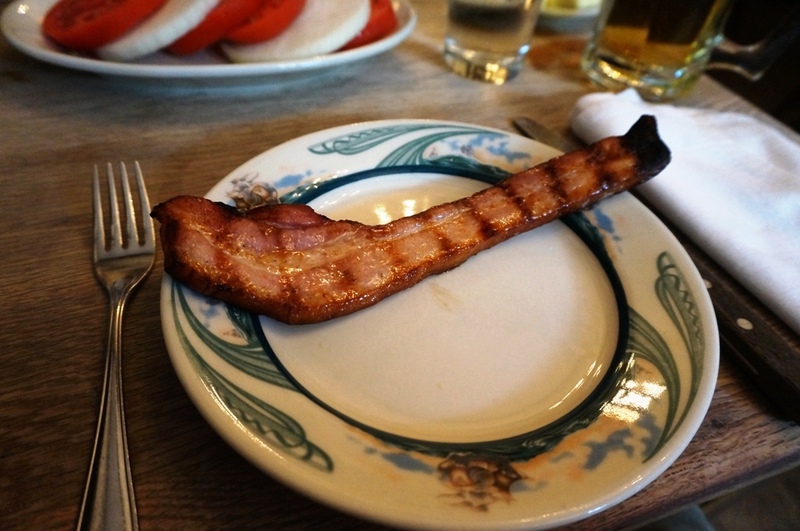 Posted on September 12, 2015 October 13, 2015 by AdrielPosted in New York, Steak, United StatesTagged brooklyn, New York City, NYC, peter luger, Porterhouse, Steaks.